Welcome to the College of Charleston. We are glad you have chosen to attend the College. We recognize you have experience as a college student and hope this web page will help you in your transition to the College of Charleston. 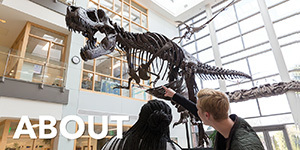 The following links will connect you to web pages and departments on campus that can be helpful when you're selecting classes. 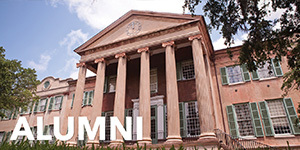 All new students are considered undeclared when they enter the College of Charleston. 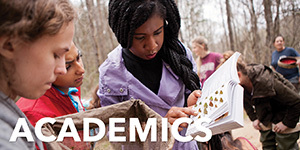 In order to declare their major, students must log into MyCharleston and access the Program of Study Management (POSM) channel on the Academic Services tab. Some departments may have additional requirements of paperwork to complete beyond the POSM request process. Students must respond to requests from these departments in a timely manner or their POSM request will be denied. Major Roadmaps - A roadmap is a suggested semester-by-semester planning guide for a major. It is a model four-year plan, not a guaranteed sequence or contract. My Charleston – the student information system that students use for a variety of services including registering for classes. If you have forgotten your password, please follow the instructions on the log-in page. The Transfer Equivalency database is a tool allows students to anticipate transfer credit for coursework taken elsewhere and does not necessarily represent a comprehensive list of transferrable coursework for any school. It is designed to be used as an unofficial resource to identify potential transfer credit and associated College of Charleston course equivalents. It is neither an official determination nor a guarantee of transfer credit award. As transcripts and scores arrive in the admissions office, evaluations and any awards of credit occurs after an offer of admission. Coursework may be presented to faculty for review. You may receive requests for additional information such as syllabi and course descriptions. It is important that you keep up with your current awards using the Degreeworks program on the Academic Services tab in MyCharleston. The best method to view your transfer credits is in the class history view. You may not receive credit twice for the same course whether that pertains to transfer credit, test scores or College of Charleston coursework. AP and IB scores usually arrive in mid-July of each year. Questions regarding your academic plan should be addressed with your academic advisor. Information about your academic advisor and their contact information can be found in MyCharleston > Academic Services tab> Academic profile section. Additional information regarding transfer credits and other admissions questions can be found at the Registrar's Office transfer credit website. Please allow up to three weeks of processing time. AP and IB scores arrive at the College of Charleston in mid July. We can accept AP scores from official high school transcripts. If you have questions regarding your transfer credits, please e-mail the transcript evaluation coordinator. 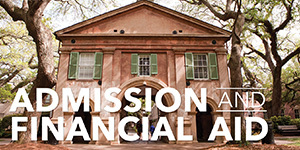 Set up your MyCharleston account with your permanent log-in information that the Admissions Office e-mailed you. Sign up for Orientation. You can do this by logging on to MyCharleston>Academic Services>Go to Orientation box on bottom left> Orientation Registration. 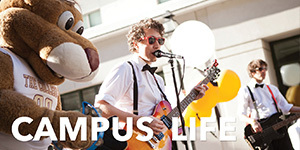 Sign up for on-campus housing and your meal plan by logging on to MyCharleston> My housing/dining in top right. Take your math placement test. If you have questions, contact the Math Department 843.953.5730.To take your placement test, log on to MyCharleston> Academic Services> Scroll down to Placement testing at bottom left> Click on the appropriate placement test. Take the placement test for your anticipated language. See the Placement Testing webpage for more information. If you would like to park your car on campus, check the Parking Services website for information regarding registration. 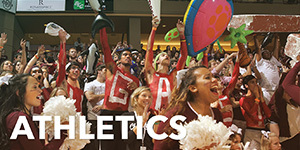 Check your College of Charleston e-mail daily – this is the primary method of communication between you and the College, professors, and other students. Contact your roommate about what you both want to bring when you move-in. Schedule an appointment with your academic advisor for the following semester. A majority of departments on campus have mandatory advising before you can register for courses. Schedules fill up fast so don't wait for your registration time to set up an appointment. Information about your academic advisor and their contact information can be found in MyCharleston > Academic Services tab> Academic profile section.